Permanente physicians are regularly featured in the media on a variety of health issues. Former U.S. 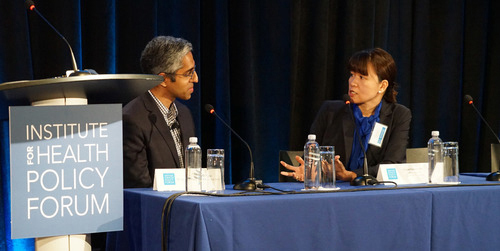 Surgeon General Vivek Murthy, MD, and Northwest Permanente President and CEO Imelda Dacones, MD, shared perspectives on why addressing trauma in school-aged children is so critical for the health of families, schools, and communities during a Kaiser Permanente Institute for Health Policy forum.